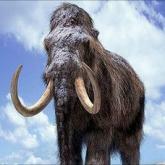 Mammoths, giant bears, big cats and the like disappeared rapidly from the fossil record, and a comet or asteroid strike was seen as a possible culprit. But tiny diamonds said to have been created in the collision have been misinterpreted, a US-UK team says. Without these diamonds, the theory falls, the group tells PNAS journal. "This was really the last pillar for this theory and I think it's time now everyone moved on," said co-author Professor Andrew Scott, from Royal Holloway, University of London, UK, told BBC News. It has been one of the big palaeo-debates of recent years: what caused the extinction of the creatures and human settlers living across North America at the start of a millennium-long climate cooling event known as the Younger Dryas? The traditional theory had been that a sudden release of fresh water from a giant glacial lake into the North Atlantic had upset the ocean's circulation and sent temperatures plummeting in just a few years. But then a group of scientists started to challenge this position by pointing to what they said were tell-tale signs in the sediments at archaeological sites of an ancient impact from space. These 12,900-year-old sediments were claimed to hold exotic materials: tiny carbon spheres, ultra-small specks of diamond - called nanodiamond - and amounts of the rare element iridium that are too high to have occurred naturally on Earth. The sediments were also said to contain a layer of charcoal deposited by the colossal fire that would have swept the continent after the event. No crater has ever been identified, but the proponents say the impactor may simply have broken up in the atmosphere as it came in; and as proof they have produced mammoth tusks that appear to have meteoritic shrapnel embedded in them. But detractors believe they have now unpicked much of this evidence, and in the latest edition of the Proceedings of the National Academy of Sciences they say they have demolished the theory's best, last hope - the nanodiamonds. These nano-sized, hexagonal bits of diamond, called lonsdaleite, can be good tracers for impacts; they're created in the intense pressure and heat of a space collision. But having examined closely the carbon spherules purported to contain nanodiamonds in this case, Tyrone Daulton, Nicholas Pinter and Andrew Scott say there has been a misinterpretation. "We looked for these diamonds and we couldn't find them," said Professor Scott. "But not only that, [the proponents of the theory] have misinterpreted what are really just aggregations of carbon. "There were frequent low-temperature fires all through this period - this is no big deal. And what happens is that the carbon in molecules gets re-ordered and this happens in very small domains, less than micron-sized areas. "It's not a high-temperature phenomenon; it happens at low temperatures. Obviously, what they've done is take that material and identified these domains as diamonds when they're not." Even before this latest study, one of the world's leading experts on impacts - Dr Jay Melosh of Purdue University, US - had shown that an airburst was not capable of producing the shock pressures necessary to make nanodiamonds. The proponents of the impact theory are not prepared to let go of their ideas just yet, however. Dr Douglas Kennett of the University of Oregon, Eugene, US, told Science Magazine that the research featured in PNAS had been looking in the wrong places. "The Daulton et al claim that we have misidentified diamonds is false and misleading," he said. And geoscience consultant Allen West added that Daulton and colleagues had not followed the same protocols and therefore it was no surprise they had came up with a blank. "They looked at charcoal but we never mentioned that we ever found diamonds in the charcoal," he told BBC News. "They did say that they looked in some carbon spherules but we looked at 10-15 per layer and specified that in our methodology, and they only looked at 'one to several' - that's their quote. They didn't understand what they were supposed to be looking for."